Kylie Jenner is facing backlash after receiving various complaints of her pop-up stores being unsanitary. The 20-year-old is currently selling products from her beauty brand Kylie Cosmetics in Topshop locations across the U.S., but it appears customers aren't happy with end result. As first reported by Revelist, fans are claiming to find makeup — such as palettes, lip glosses, and concealers — already opened and tarnished by people wanting to test them out. 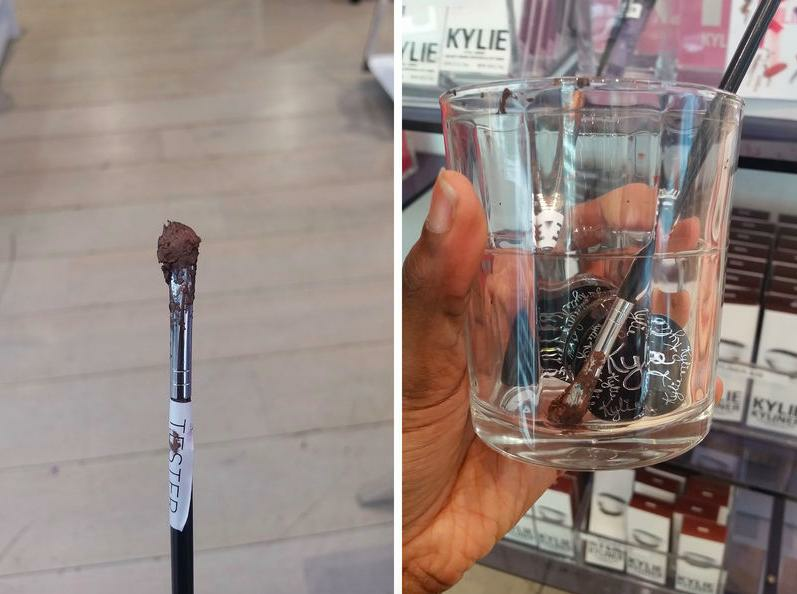 Despite the desired luxury appeal of her products, Kylie's pop-ups reportedly consist of "destroyed products, demolished packaging, and unfortunate conditions". 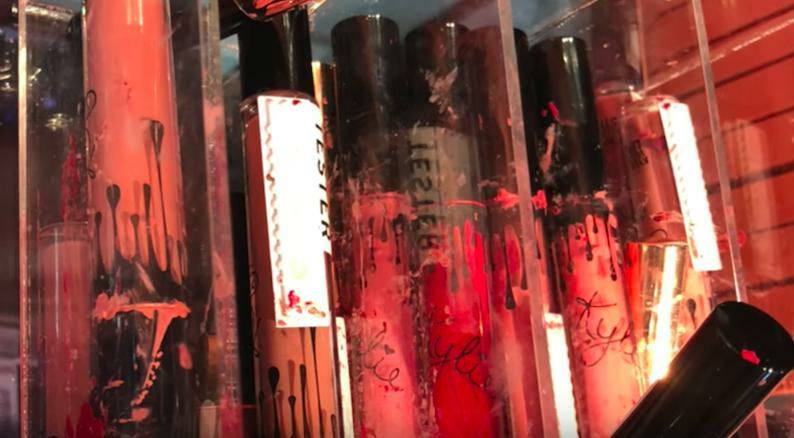 Many beauty vloggers have also complained of displays being smeared with the various products, with store employees freely allowing costumers to open products to test them - an incredibly unhygienic practice. "It was just all thrown together. People not only used put it on their hand, put it on the white table, put it on the glass, and then threw away the cap." explains YouTuber Rich Lux in a video. "The packaging was torn and looked like a hot friggin' mess [...] It almost looks like it was Marshall's or T J Maxx ... almost like a swap-meet." "It was a lackluster and depressing feel," adds YouTuber Halsey Is My Real Name, "It was in no way what I thought it would be." "It speaks volumes for the fact they have these beautiful PR packages going out for marketing, yet they can't spend the extra money to have quality control or a sales rep in the store, helping someone or taking care of their products." It's worth noting that the fault of this debacle may not lie with Kylie, but rather Topshop who are playing host to her products. Kylie is yet to comment on the reports. The makeup mogul - who is reportedly pregnant with her first child - faced backlash last week over the price of her new makeup brushes.